Northgate Primary School is a successful Academy school. When children join our community we know how important these early years are, and we recognise how quickly the children grow physically, intellectually and socially during their primary education. These are very precious years and we believe that it is vital for parents and teachers to work together to ensure that strong foundations for learning and caring are laid. 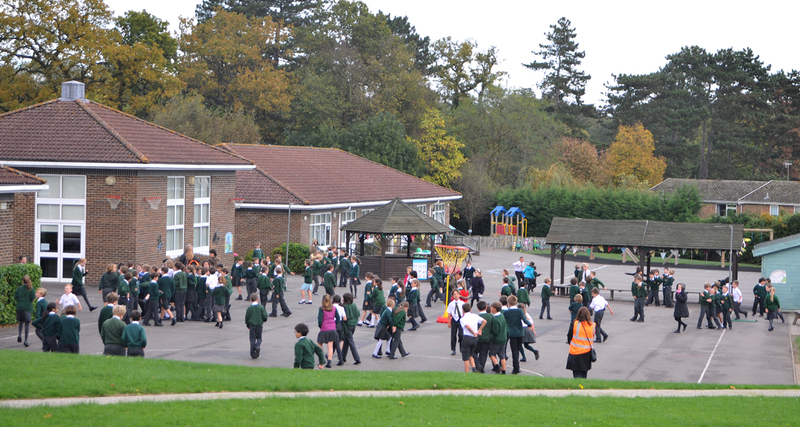 We are a learning community with high standards in every aspect of our school life. We aim to create a school that is happy, safe and secure, where children have high expectaitons and are challenged in their learning. We work hard to provide our children with a learning environment that enables them to devel-op into confident, well-balanced individuals who communicate with ease and have a sense of pride and achievement in all that they do. 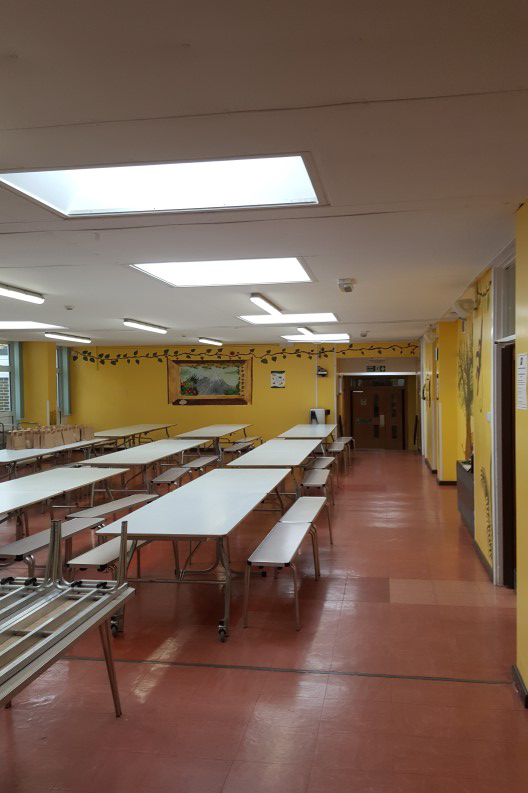 Northgate Primary School was previously fitted with old 5FT T8 fluorescent fittings which had not only failed and flickered, but also they were very hard to get new tubes for. This meant many lights were out of order which was not providing a bright enough learning and teaching environment for the staff and pupils in the school. With high maintenance costs for the school it meant money couldn’t be spent on more important things. 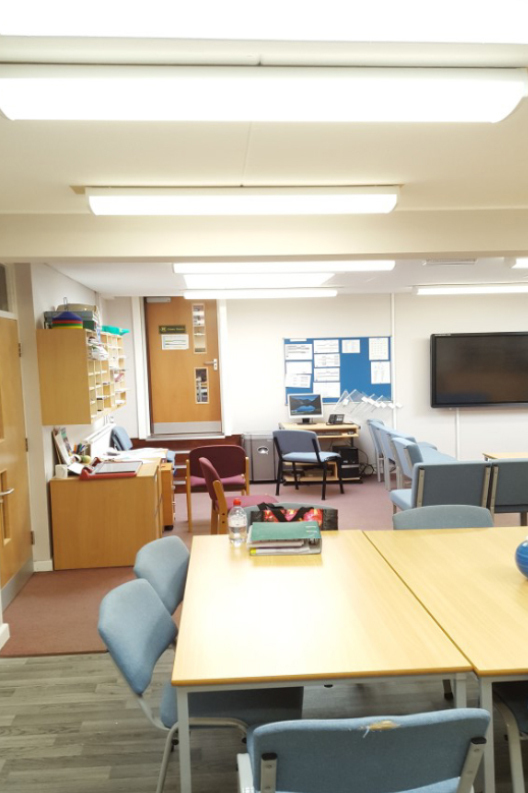 Changing over to LED Lighting with NO CAPITAL OUTLAY meant no more upkeep of their lights and the correct lighting levels for their school. The School funded the scheme using The Educational Social Enterprise Fund for LED Lighting The ‘Social Enterprise Fund’ enables schools to install LED Lighting, lower energy costs and reduce their carbon footprint without having to find the upfront capital to purchase the equipment. By simply paying an annual lease amount the scheme generates cash surpluses for the school from day one to be reinvested in educating disadvantaged children. There are no capital costs to the school and the lease repayments are made from the savings, there will always be a surplus left for the school after the lease payments are covered. The fund is DFE (Department for Education) approved as an operating lease, an appropriate funding method for schools and accredited by Department of Business, Innovation and Skills (BIS) to offer low cost finance. 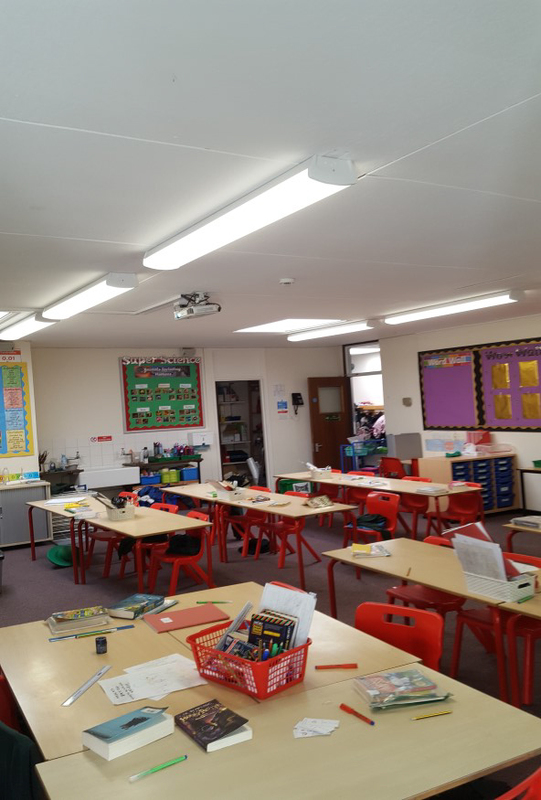 With over 400 LED lamps installed, Northgate Primary School have now improved classroom lighting, reduced energy con-sumption by up to 75% and requires zero hours of maintenance time changing lamps. 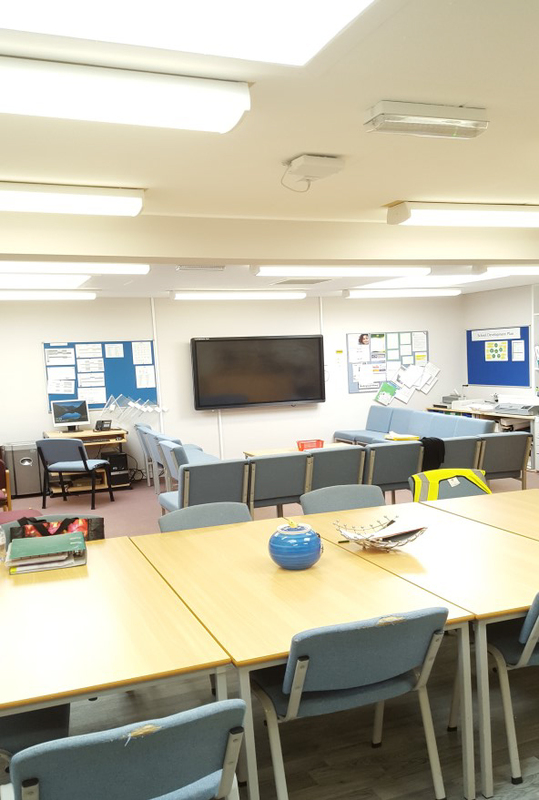 We recently had our whole school reﬁtted with new LED Lighting supplied and installed by RS Lighting. From survey to completion of the project, everything went smoothly and the school looks fantastic. The install was completed on time and the install team did a great job. We would highly recommend RS Lighting to other schools.